German publisher; born at Hamburg in 1824; died June 24, 1899. He was the head of the well-known bookselling and publishing firm of his native city, "Gebrüder Berendson." 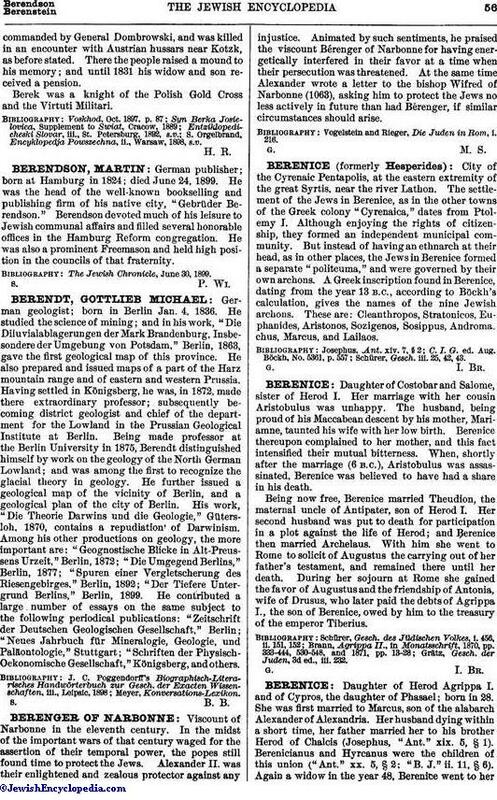 Berendson devoted much of his leisure to Jewish communal affairs and filled several honorable offices in the Hamburg Reform congregation. He was also a prominent Freemason and held high position in the councils of that fraternity. The Jewish Chronicle, June 30, 1899.